I've been recently playing with OpenGL graphics a bit and needed a simple way to print text. 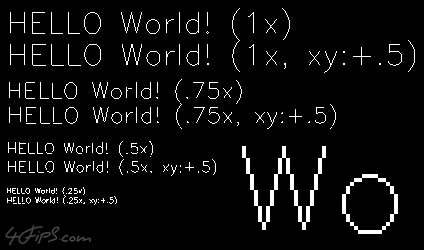 Instead of spending days and weeks implementing a proper bitmap font renderer, I decided to go quick and dirty this time with minimal effort. 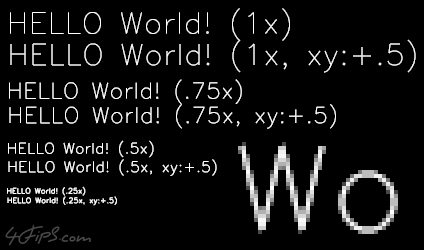 So I took Simplex - A freely available vector font, and in a couple of minutes wrote a simple text rendering routine. I was quite curious how good or bad the result would look like, and frankly was quite horrified after seeing the aliased shapes, which came out (especially in small fonts), see Fig1. below. So I went on by enabling MSAA (Multisample anti-aliasing) to make this thing usable, and after all it's not that bad, see Fig2. I think it's good enough for my purpose.